A unique design and superb quality make this tenor banjo one of the most desirable banjos available today from any source. It is available NOW AND IN STOCK in its 19 fret version. The muted sublety in all its parts combined with the superb solid walnut construction throughout make it absolutely unique both to play and to look at. The neck is laminated in walnut and ebony with black edge banding. 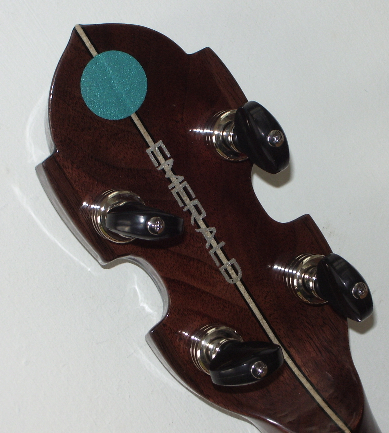 Ebony fingerboard with abalone inserts. Ebony pegboard beset with our emerald logo and with a set of top quality planetary geared black headed tuning machines. 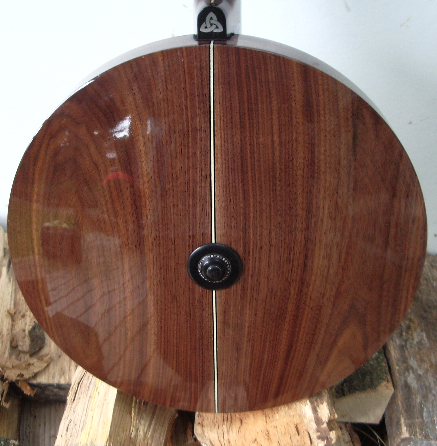 Block walnut rim with a 40 hole archtop tone ring which produces a wonderful sound. 40 wall lugs and hooks. Grooved tension ring. 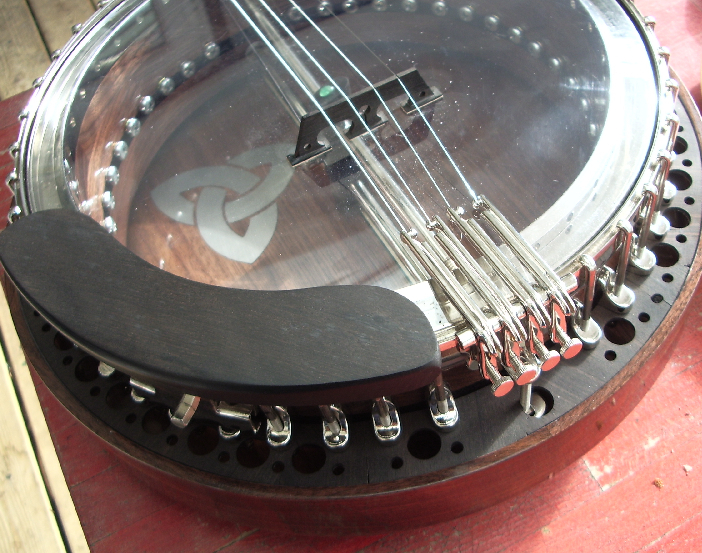 Multi plate metal reinforced ebony flat resonator flange. The instrument is nickel plated throughout. Cast brass Oettinger style tailpiece heavily nickel plated. 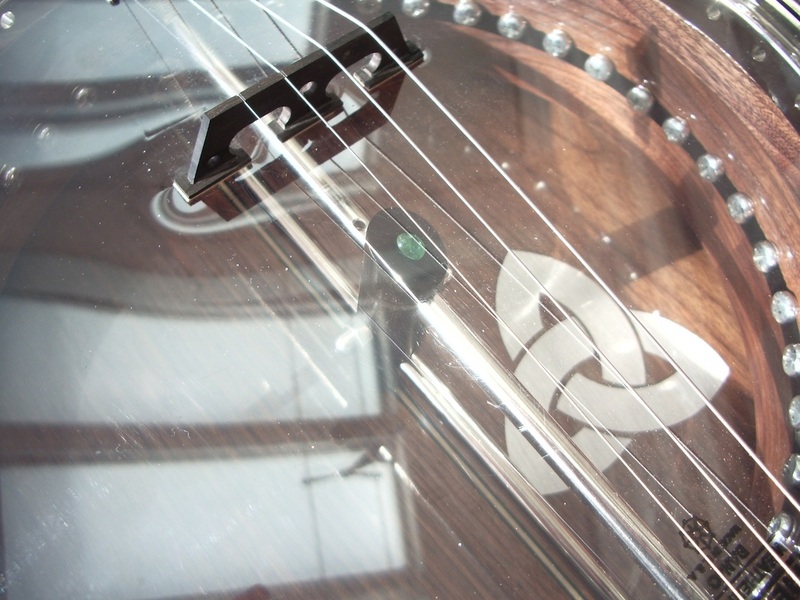 Solid walnut resonator with single point fixing at rear unique to EMERALD BANJOS. 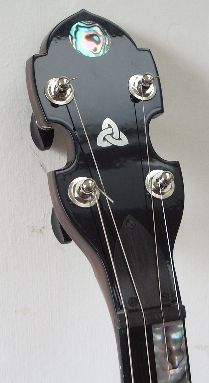 The fixing bracket inside the banjo is ebony beset with an emerald clearly visible through the clear head. Complete with unique EMERALD BANJOS ebony armrest and highly engineered ebony bridge. This banjo destroys the myth that "old sounds best".